Have you bought a budget pond filter for your fishpond outside? You have! Now you are standing looking at the device and wondering how to clean a pond filter and if it does need regular cleaning. The truth is if you lived in an ideal world, the pond filter would be self-sufficient and need no maintenance. However, unfortunately, you do not. The reality is there are different methods of keeping the sieve clean and depends on the type of filtration system you have. 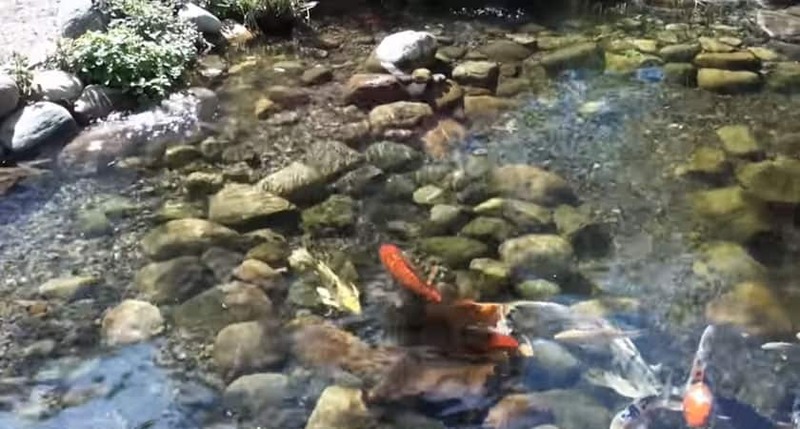 If you have fish in the pond, it needs a good quality filtration system to survive. You may not be able to escape the cleaning duties, but you can try to reduce the process to keep it working all the time. We are here to help make your cleaning task easier and compiled an article on how you can keep both mechanical and biological media clean and free of debris. However, before we get to the cleaning make sure to read on and learn how often you should clean the pond filter media. How often should you clean a pond filter? 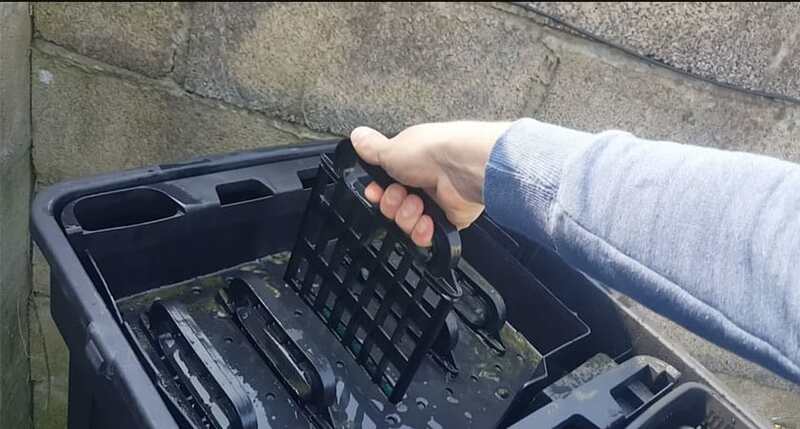 When looking at the filter box, you rarely need to clean it if you maintain the pond and the filter performs optimally. You may have to clean it a few times a year and depends on the ponds bio-load. The important thing is to clean the media as soon as you see a drop in the water flow from the filter outtake. This is the first sign that the mechanical mediums clogged, but when it comes to a bio-media, it is more complicated. With the bio-medium, the water clarity changes and a sludge buildup starts with a strong smell. You may notice some of the fish becoming sick, and all are signs that the filters under-performing. The best solution is to open up the filter box and peek inside. By doing this, you will immediately, notice if the mediums blocked as a thick layer of sludge covers the front of the pads. Now you may wonder if cleaning the bio-media with tap water is such a good thing. The truth is it is not as it can remove the helpful bacteria living there. However, if the filters clogged, the best is to rinse it with clean tap water. After cleaning, you can top it up with a bacteria supplement to help kick-start the population again. Mechanical pond filters you can rinse with tap water. The sponges and sieve pads you can wash using regular water from the garden hose. The media only traps debris and does not house beneficial bacteria. Remove the waste manually and squeeze out the smaller particles before placing it back in the filter box. The medium only needs cleaning every three to six months. In general, activated carbon does not need maintenance as it helps remove organic pollutants, such as chlorine. Generally used as a third stage filtration system placed on top of a two-stage filtration to neutralize the contaminants. You only need to replace it every couple of months and offers low maintenance. Please fill up the holding container for the fish, remove them from the pond, and place them in a shady spot. Place the net over them to prevent them from jumping out. After putting, them in the bucket place it in the clean water and start splashing some of the pond water into the bucket. This helps the water in the bucket become the same temperature as the pond and spill the fish into the pond. By following some simple steps, you can keep the pond filter maintained while keeping your fish healthy. With periodical cleaning or noticing a low-flow of water, you can determine if, the filter box needs a cleanout. The product is beneficial to help reduce bacteria start-up time. The recommended time to clean the pump filter is during spring and fall shutdown. Filter pads last up to a year before it needs replacing. So get started today and keep your pond looking great all year round.